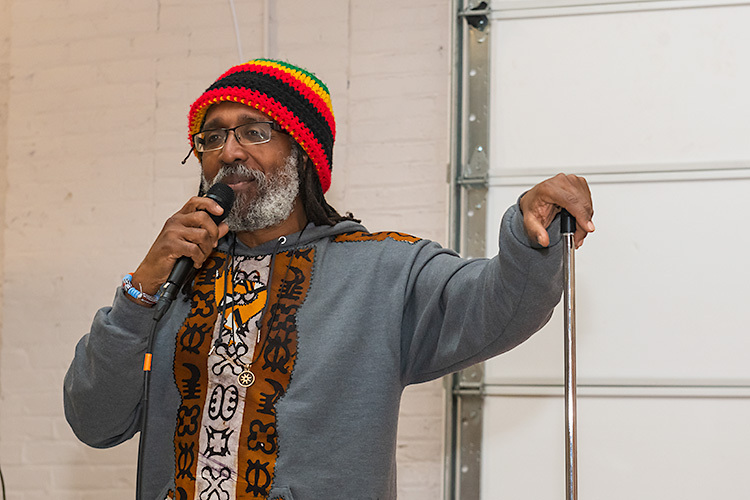 A Black Business Block Party and Black Empowerment Awards ceremony this Friday in Ypsilanti brought together black leaders from across Ypsi and the metro Detroit area. 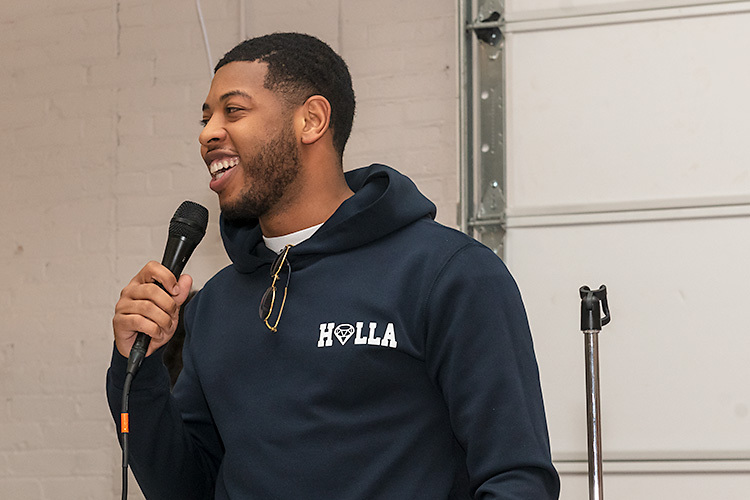 The events were just one facet of the third annual BookDay celebration in Ypsi, organized by Ypsi resident Noah Rucker to celebrate the life and legacy of Booker T. Washington. The weekend-long festivities also included a garden development health economics class and discussion, as well as an art and talent show. 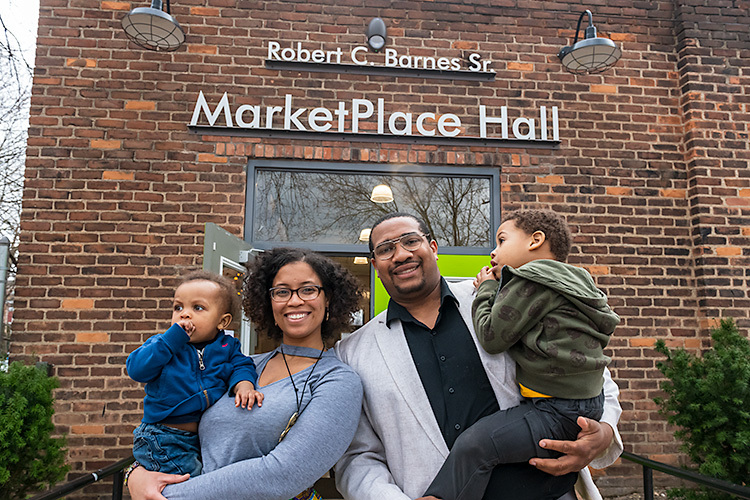 On the Ground Ypsilanti stopped by Friday's events at Growing Hope's Robert C. Barnes Sr. 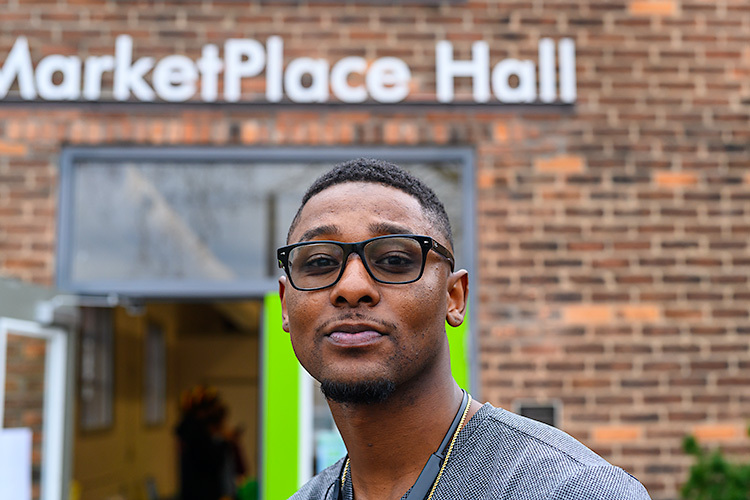 MarketPlace Hall on South Washington Street in Ypsi. 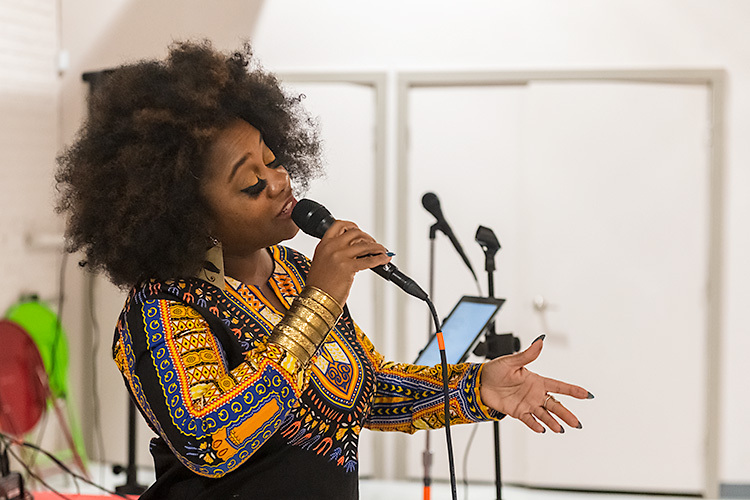 We chatted with organizers, attendees, and award recipients about the meaning of black empowerment and the writers and educators who have inspired them, in recognition of Washington's legacy as a writer and educator. Here are some of the interesting and inspiring people we heard from. Q: Why are you inspired by Booker T. Washington? A: "I'm Booker T. Washington reincarnated. Basically everything he did is what I'm doing. It's about black empowerment, and my understanding of black empowerment is about community empowerment. In order for black people to empower themselves, they need to empower the whole community, no matter who is in that community, no matter what's in that environment. The only way to empower black people is to empower everybody." Q: What writer or educator inspires you? A: "I am inspired by Miss Lynn Crandall, a mentor I met through a connection I made at an event in Washington, D.C. She is the director of the USC Institute for Genetic Medicine Art Gallery. I got an opportunity to meet her on a conference call and talk by email and we exchanged information about different entrepreneurial opportunities and ways to build the brand (for my nonprofit). She's all about networking in a non-competitive, all-inclusive way." Athena Johnson performs at the Black Empowerment Awards. She often performs with the vocal group Dames Brown. A: "I'm in education myself, and I was inspired by my second-grade teacher, Mrs. Anderson. She always had a smile on her face and made learning fun. She was one of the only African-American teachers in a predominantly white school, and that was important during my formative years." Q: What does black empowerment mean to you? A: "Booker T. Washington was the epitome of excellence, and it all starts in the home. He was an inspiration for me and my wife. (The role of) leaders in the community is to get out and show the example of what it's like to strive for excellence, to go above and beyond and inspire others. Our goal (with Twin Flame) is to increase the African-American marriage rate, which is standing at 29 percent right now, and our community is a direct reflection of that. We're getting into high schools, teaching youth about healthy relationships, cultivating healthy loves, and getting rid of toxic behaviors." A: "I am inspired by Nikki Giovanni, a poet, writer, and speaker. I don't always agree with everything she says, but it's so great to dive into her mind and see how she is thinking about things." 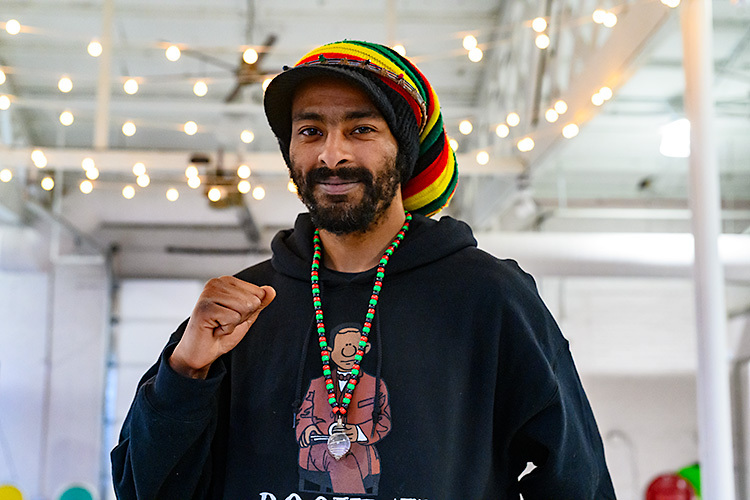 A: "What I do in Detroit is run an organization called the Detroit Black Community Food Security Network. We grow food, teach people how to grow food, and we're building a cooperative grocery store. Being more self-reliant in terms of food and keeping money in the black community are one, in my mind. ... If we want to be more sovereign and self-reliant, food is one of the fundamental elements. I encourage you to grow your own food, even if that's just growing a tomato plant in a pot. It's so empowering, and we learn so much about ourselves and how we're a part of nature." A: "I'm a state representative right now, but I got my start on the city council in Inkster in 2015 when I was 19. I got back from the Congressional Black Caucus, and when I got home I had all this energy. One of my friends said, 'You should run for city council.' So I ran for office, and it's been a rollercoaster since then. I represent the 11th district, and we're working on a lot of issues including getting those auto insurance rates down, fixing the roads, and retaining a lot of talent here in the state of Michigan."